inayopendelewa Actor from the Cast. 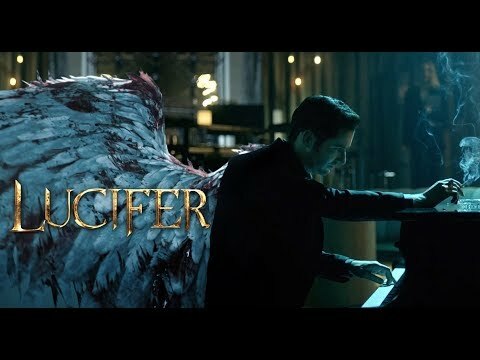 What did wewe think about Everything's Coming Up Lucifer (2x01)? What did wewe think about about Boo Normal? How do wewe rate Season 3? Who do wewe think the "Sinnerman" might be? Who is Trixie's real dad? It's genetically impossible for it to be Dan, since his and Chloe's eyes are both blue but Trixie's are black like Lucifer's? Can anyone tell me why Lucifer & Chloe can't be together? Did his brother sleep with her mother? What's the deal? The biblical tables are poised to be turned when Eve aka the first lady explores what Lucifer truly desires, as seen in this (ahem) intimate first look at Season 4. Lucifer mashabiki are about to see a side of the devil they've never seen before. What song is played kwa Father Frank in the episode "A Priest Walks into a Bar"?